Essilor has entered into a definitive agreement to acquire MyOptique Group Ltd., a leading European online prescription glasses, contact lenses and sunglasses business. The transaction is fully consistent with Essilor’s mission to “improve lives by improving sight”. Essilor’s online business helps to raise awareness among an ever-growing community of consumers about the importance of protecting and correcting their eyesight. It also facilitates access to high-quality optical products that improve visual health, thus benefiting all industry players. Based in the United Kingdom, MyOptique Group reported £57 million in revenue in the year ended April 30, 2016. The company’s unique value proposition is built around a successful multi-category, multi-brand model, which is being deployed through a number of local websites, such as Glasses Direct (prescription glasses) and SunglassesShop (non-prescription sunglasses) in the UK, Lensbest (contact lenses) in Germany and LensOn (contact lenses) mainly in the Nordic countries. In addition, MyOptique Group is driving innovation to provide the best possible customer experience and has developed several house brands, such as London Retro and Scout marketed by Glasses Direct. It serves around one million active customers. 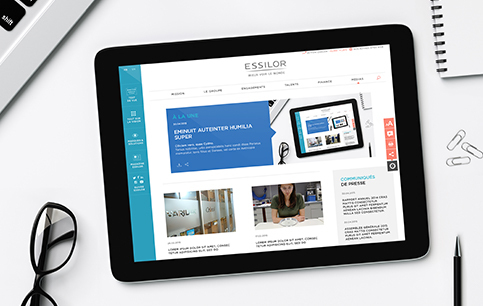 The acquisition will enable Essilor to broaden its online footprint to Central Europe and to enhance its capabilities in successful multi-category, multi-brand models. MyOptique Group’s key management team will remain in place.